For many, living a pain free life is something they strive for, and in most cases it is better to achieve this without the use of drugs, medications and surgery. Chiropractic care from Rockefeller Health & Medical is an excellent partner to have on your side if you are experiencing elbow pain in NYC. 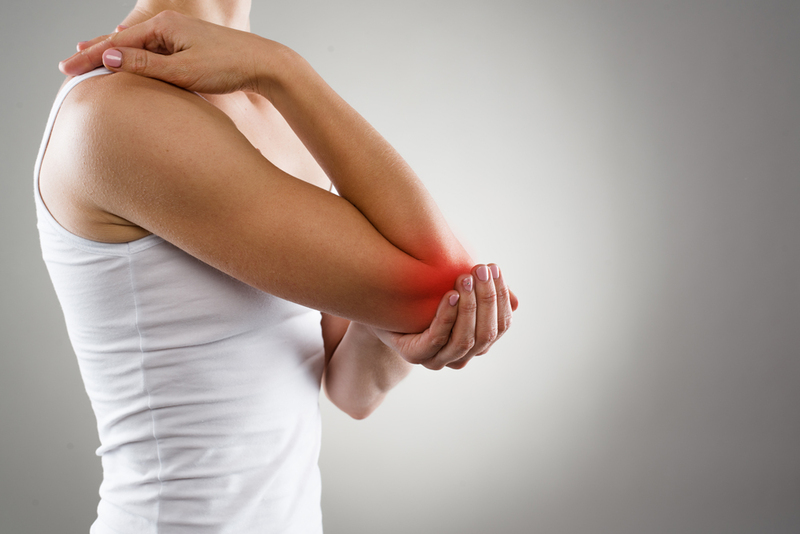 While such pain is often the result of strains or sprains to muscles or ligaments, it can also be a sign that a fracture is present near the elbow joint, or that the elbow is dislocated. In either case, having the diagnostic capabilities of a chiropractor in Manhattan, like Rockefeller Health & Medical, behind you will give you the knowledge necessary to start a course of treatment that can get you on the right track to feeling better. The elbow joint is among the most common to suffer injuries, including dislocations and fractures. These are especially common in children, who have the underdeveloped joint tested in many instances, through activities like swinging by the arms and similar tumbling and sports. The elbow actually connects three bones together, including the upper arm bone (the humerus) and two bones that are in the forearm, the ulna and radius. When an elbow is broken or dislocated it is important to seek out care from your physician or Rockefeller Center chiropractic care right away so that the bone or joint can be properly reset, and instructions can be given to limit further damage and relieve pain. For many elbow pain will first lead them to the freezer for an ice pack, since strains or sprains are most common. However if the elbow is extremely painful of does not look right it is time to get professional help right away. A visit to the E.R. may take care of getting the joint back on track, or splinted, or in some cases casted. Going forward, however, chiropractic care in Midtown East can help you learn how to strengthen your joint in order to handle the demands placed on it. Rockefeller Health & Medical provides chiropractic care, physical therapy, acupuncture, and more in 10036 zip code. We provide comprehensive treatment services for resident in Midtown East, Midtown West, Hell's Kitchen, Rockefeller Center and surrounding NYC communities. Contact Rockefeller Health & Medical at (212)-388-5050 to schedule an appointment.